It’s that time of year again, when I start to build my summer reading list! Today I run down 5 great titles, ranging from thriller – to memoir – to fairy tale. Dreamers, am I alone – or is there truly something about the arrival of sunshine and warmer temperatures that ups our reading game? 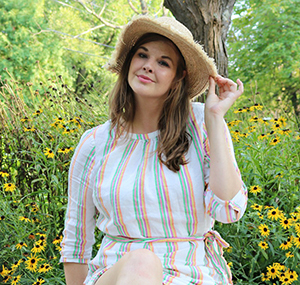 Outside, huddled under a huge floppy hat with the sun beaming down on my pale legs…I take mental vacations of all varieties. Scary, humorous, fantastical – you name it. When the weather’s nice, I’m just a better reader. Period. 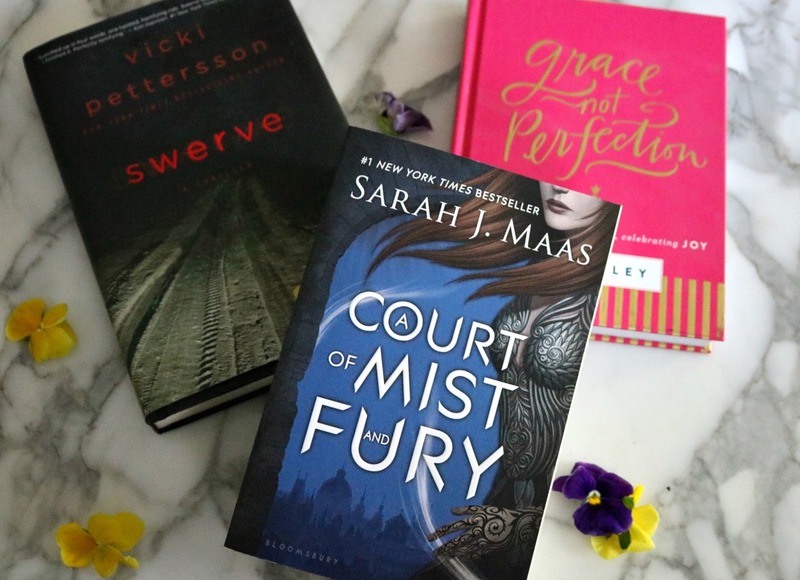 Today I’m breaking down the books I’m eager to devour this month and hopefully will spark some interest for your personal reading list. As always, feel free to throw your best suggestions at me because my TBR is always in need of new titles! 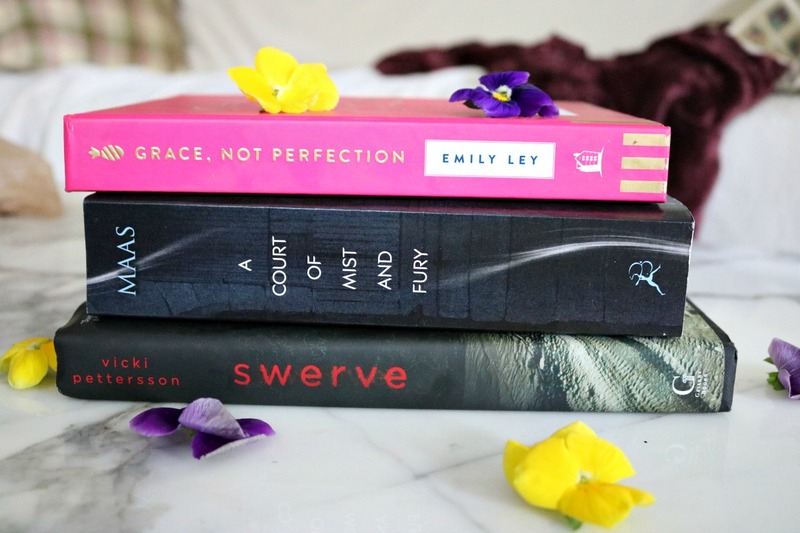 I’m starting off with Swerve because I’m already a good two-thirds of the way through and am enjoying it SO MUCH! Vicki Pettersson is a new-to-me author and has such an inventive way of describing her characters and the world around them. Swerve is a fun ride and super quick read. It follows a young couple, traveling in the blazing desert for a long family weekend. Upon a quick stop to change her clothes, Kristine Rush is attacked in the bathroom and after narrowly escaping – discovers her fiance David is missing and in the hands of a killer. Kristin is given two choices: return home unharmed or plunge forward through a twisted scavenger hunt to find him. If you’ve seen the movie Joy Ride, Swerve kind of reminds me of that with its cat and mouse chase through the desert. It’s a lot of fun, somewhat scary and would make a GREAT pool or beach read. COMPLETELY switching gears, Grace Not Perfection is all about freeing yourself from the pressure to be perfect…at everything. Emily Ley is a self-motivated designer who quit her full-time job to embark on her own design business. As a new mom with a new business, she struggled to make everything fit in and adopted the motto: Grace not perfection. Making grace her goal, not perfection. Eventually we all have to admit that while we may try to fit everything in, there’s no way we can possibly do everything well. Grace Not Perfection celebrates the joy and simplicity of a happier existence and is (so far) filled with inspiring and witty tidbits of advice. Emily even includes lots of sections for the reader (yes you) to help you discover what most brings you joy. All around, a feel good book that’s good for the soul. 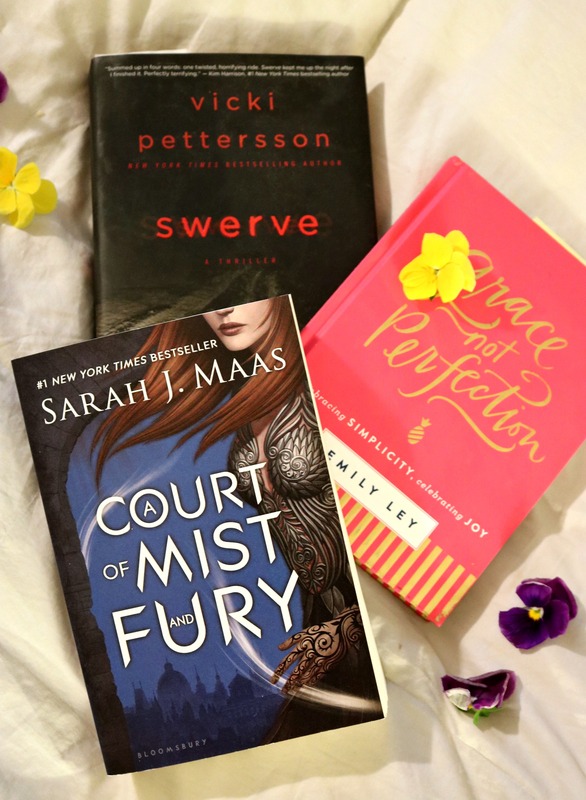 After seeing Disney’s Beauty and the Beast, I finally got to reading Sarah J. Maas’s retelling of the popular fairy tale titled A Court of Thorns and Roses. The story follows Feyre in a mythical land where humans and fairies live separately. Violating a treaty, she mistakenly kills a fairy and for punishment (like Belle) is sentenced to life in a castle set in fairyland. From there, Feyre finds herself in a new world of action and mystery – with more than one romantic interest. It was a fun book all around and I’m eager to see where things go next in the sequel A Court of Mist and Fury. If you’re coming off a high from loving Disney’s Beauty and the Beast and are still in fairy tale mode – I definitely recommend this series! Next on my reading list is this hot topic book that’s been hanging out on my iPad since last summer. Woopsies, I never got to it. *face palm* Hopefully, my reading spree will continue and I’ll final get to this dark, account of Charles Manson’s infamous female cult of followers. I did start this and love the tone of Emma’s writing, but need to really buckle down and get deeper into it. If you’ve read The Girls….definitely let me know what you think. Lastly, Lily Collins’ memoir Unfiltered sits atop my reading list and I went on quite a hunt to track down the actual book – with no luck. It’s actually pretty sad how limited bookstores are these days, isn’t it? Oh well, after striking out at Target and the bookstore, I’ve secured the eBook from my library and look forward to learning more about Miss Lily Collins. I’ve wanted to read it ever since she announced it on her Instagram but after learning that Michelle Obama love and adores it – I of course am jumping to give it a read. Lily is the daughter of Phil Collins and has a very cheerful, inspiring point of view and I look forward to learning more about her in this collection of essays. What Tops YOUR Reading List? What I Would Wear to the Cannes 2017 Film Festival – 25 Looks!